The Ratmobile Mk. 1 is a Silver Metallic 1993 Chevy Caprice Classic with grey cloth interior. It was built at the Chevrolet plant in Arlington, Texas, and was the 5,847th built that model year. 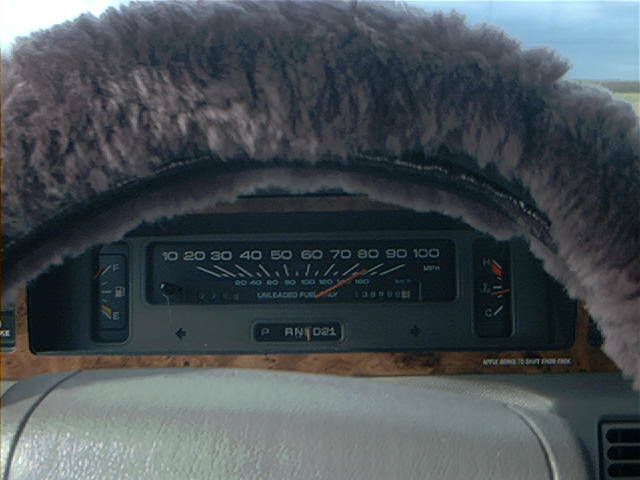 The Caprice Classic was one of the last cars of the "Large Car" class, and was famous for having the softest, cushiest ride of any vehicle on the road. A true land yacht, she practically floats over the road, listing into the turns. She is a behemoth, weighing in at nearly 4000 pounds empty, and yet she has a top-end of over 130 mph! Tuned for grace, rather than raw power, the engine whispers silently even at high speeds, her eight cylinders turning at a mere 4000 RPM at maximum power! She was one of the last cars built with a full frame, which greatly improves survivability and reduces damage in an accident. Like most V8's, fuel economy suffers a bit, with an average of 18 mpg during city driving, but she gets about 25 mpg on the highway. The sound system is a stock Delco-Bose Silver Series AM/FM cassette, with 6x9 2-cone speakers in the rear, and 4x6 2-cone speakers in the front. The vehicle is equipped with a security system that disables the starter. It also automatically locks and unlocks the door, and can remotely release the trunk. One interesting note: The fuel tank drives full service gas station attendants nuts. Virtually all cars built currently have a fuel door on one side or the other. 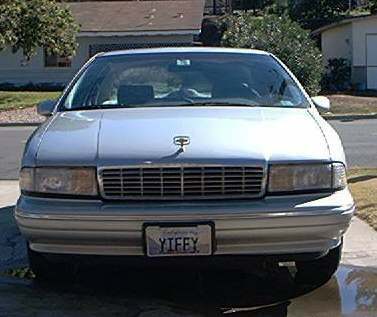 The Caprice was designed with the fuel door in the middle, hidden behind the license plate. It's fun watching gas station attendants play "Hunt the Fuel Door"
The trunk latch also confuses people. 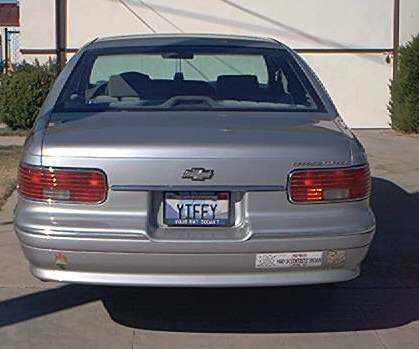 The keyhole is cleverly hidden under the Chevy emblem on the trunk. Even expensive luxury cars like the Lexus skimp on important details like these and leave the fuel door and keyhole exposed like ugly scars. The interior is big and roomy. Three people easily and comfortably fit in the back seat, and three could fit in the front seat, except I've added a center console on the floor, which makes the middle front seat uncomfortable for anyone but a child or very small adult. 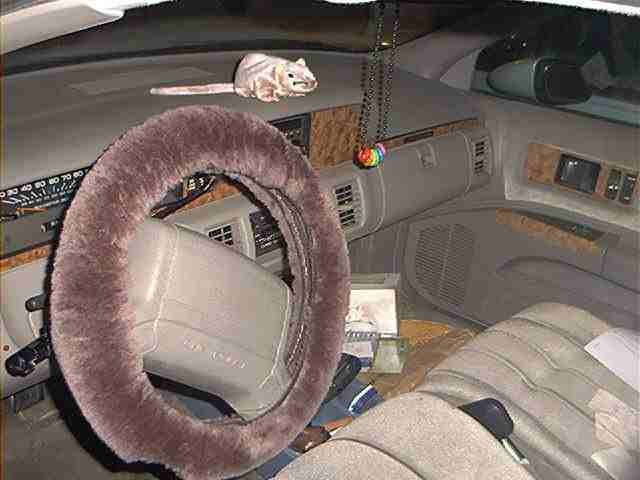 The Ratmobile Mk. 1 was decommissioned on May 27th, 2001 with 150,000 miles, replaced by the Mk. 2, a 1995 Caprice Classic.